And Restore 3 accomplishes all of this all in one powerful supplement. Our formula relies on effective, all natural ingredients which are backed by numerous scientific studies. 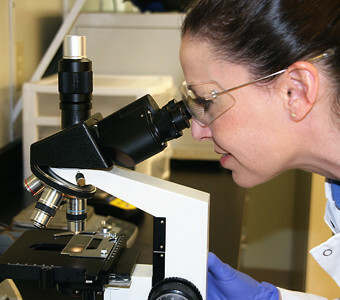 In addition to this, our state-of-the-art laboratory was specifically designed to manufacture and culture enzymes and probiotics. All of which are made right here in the USA in a cGMP certified laboratory which holds a Drug Manufacturing License by the Food and Drug Branch, and is registered as a Drug Establishment with the FDA. Lastly, for over 20 years, our board of health care advisors – made up of MDs, naturopaths and scientists – have kept us up to date with the latest research in the health and supplement industry. Why Does Restore 3 Work? 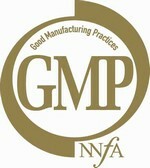 We go over and beyond the current Good Manufacturing Practices (cGMP). All our processes are meticulous and detail orientated and geared to hinder mistakes. We have comprehensive SOPs, MBRs and MPRs. This ensures meticulous record keeping and quality assurance. SHRC is certified by Pharmaceutical Consulting Services, LLC and Consulting Services (CSI) to be in GMP Compliance with FDA Reg 21 CFR 111. Each task we do is documented in our SOPs. Each lot of each product we manufacture is made according to our BPRs. A simple BPR will require over 140 signatures and dates. Every step we take is documented. Star-K is recognized globally as the most trusted kosher symbol. The Kosher Certification verifies that our facility is approved for the manufacture of products that meet strict Kosher requirements. ISA is the oldest and most respected Halal Certifier in North America. The Halal Certification verifies that our facility is approved for the manufacture of products that meet strict Halal requirements. [Fibromyalgic syndrome: new perspectives in rehabilitation and management. A review]. [Article in Italian]Melillo N, Corrado A, Quarta L, D’Onofrio F, Trotta A, Cantatore FP.